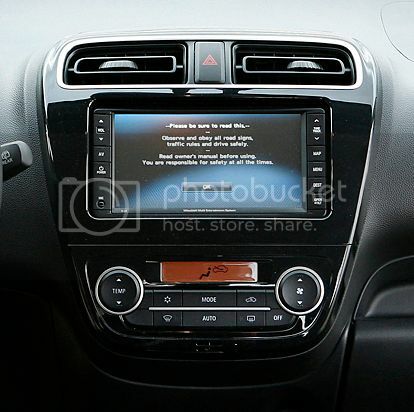 I'm trying to find out some details about the combined touch screen sat-nav and music centre in the Mirage/Space Star. The WVGA MMCS, to use a few rather ugly acronyms. When I test-drove the car a few weeks ago I was impressed. Great looking crisp sat-nav maps and good sound quality of the radio. Are there members of this forum who have the system in their car? Could you please tell me something more about it? I wonder where the DVD with the maps is coming from and how easy it is to get 'inside' the centre by tilting the screen. Is the manual up to scratch? I tried to use Google for some answers, but couldn't find anything. Mitsubishi Motors, Mitsubishi Electric, Mitsubishi Automotive, all blanks. The Mirage/Space Star brochure isn't very helpful either. Is this a well-guarded Mitsu secret? Last edited by talldino; 03-10-2013 at 10:21 AM. 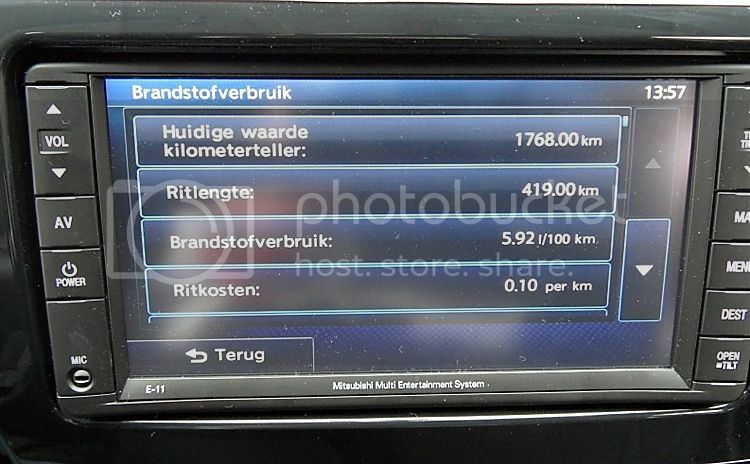 The audio/navigation unit differs for each country that that car is offered. Seems like Mitsubishi allows the distributors in each country to tweak a few specs to the market, including the radio. The common denominator audio system appears to be the in-dash integrated unit that comes with the Australian cars. My car owner's manual describes such a unit, though it's supplied with a Chinese-made integrated audio/video/navigation unit which comes with its own manual. 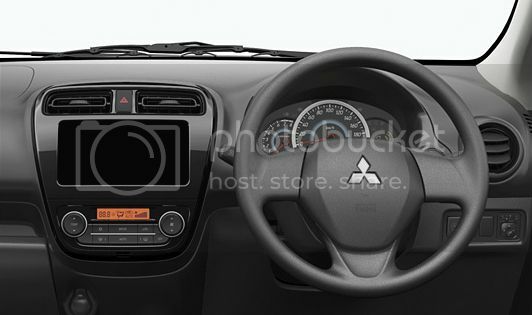 The Japanese Mirage-site doesn't show a navigation/music centre at all, there is just a 'black hole' in the dash. The sat-nav/audio system in Thailand is a Clarion NX509 including navigation and bluetooth handsfree, its easy to use and really nice. but the rear camera you must add your self ( and I'm happy for that). Last edited by hellstens; 03-18-2013 at 02:36 AM. In the meantime I discovered some additional information. The top-spec European Space Star has Mitsubishi's E-11 Multi Entertainment System on board. And it hides a surprise! Not only will it provide music and navigation, but I suspect it is connected to the car's OBD-2. 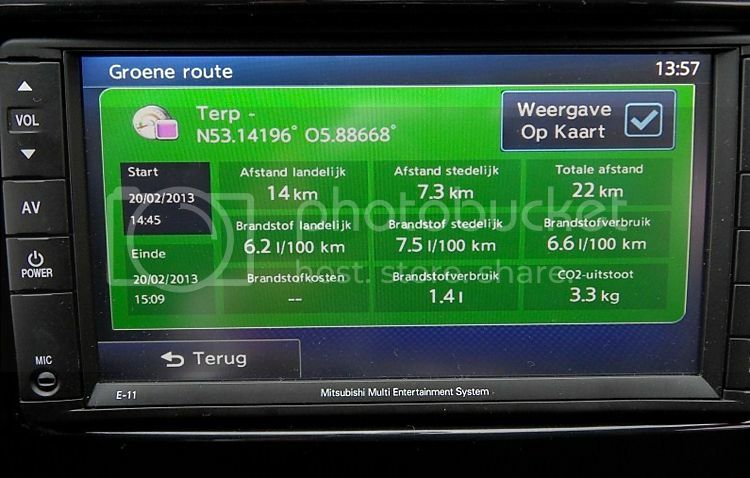 Because the screen will inform you about the distance you have driven, fuel consumption, CO2 emission etc. No need to buy a ScanGauge. Are there members of this forum who already drive a European Space Star with the E-11 MMES on board? does it also provide a instant fuel use meter? In the US, tha Nav version is u11, as shown on the front of the unit. The Mitsubishi part # is 8750A303. Not much info on the web on this unit. I don't think we even get the Nav option in the Canadian Mirage, but I'd be curious to know what you find out about having yours updated.